We are here to help. We would appreciate if questions be posted on our Message Boards. The answer/solution will be of benefit to all! 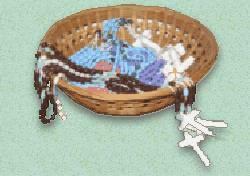 You may find the information you seek already posted there, or check our Site Index for links to the topics covered by Rosary Makers Guide. We look forward to hearing from you. Thanks, and God bless! We no longer ship outside the US. 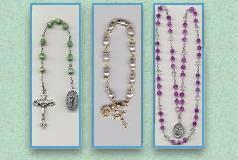 International patrons please consult our BEST ROSARY PARTS SUPPLIES page for our list of recommended vendors.